On August 12, 2008, Russian President Dmitry Medvedev ordered an end to the peace enforcement operation in Georgia, effectively ending the Russo-Georgian War that had begun only five days earlier. The Russian Armed Forces had quickly seized their objectives in South Ossetia and Abkhazia and pushed into Georgia proper, but an internal review conducted by the Russian military highlighted many failings during the campaign. Three months after the Russo-Georgian War concluded, General Nikolai Makarov, then chief of the Russian Armed Forces General Staff, proposed a massive overhaul of the Russian military titled “The Future Look of the RF [Russian Federation] Armed Forces and Top-Priority Measures for its Formation in 2009-2020.” These measures soon became known as the “New Look,” and Russia quickly adopted and put them into motion in early 2009. The Russian military today is on the rise…a smaller, more mobile, balanced force rapidly becoming capable of conducting the full range of modern warfare. It is a military that can intervene in countries along Russia’s periphery or…the Middle East. The new Russian military is a tool that can be used to underpin Moscow’s stated ambitions of being a leading force in a multipolar world. These reforms have transformed the Russian military into a more professional fighting force and prepared it for twenty-first century engagements. Moscow has already taken a more aggressive foreign policy stance due to the success of the “New Look” reforms. From the collapse of the Soviet Union in 1991 to the announcement of the “New Look” reforms in 2008, the Russian Federation only had one direct military intervention, the Russo-Georgian War. Since the “New Look” reforms began, Russia has engaged its military in three international conflicts. First, in 2014, under the cover of a large military exercise at the border of Russia and Ukraine, Russian special forces and airborne troops infiltrated Crimea. There they systematically seized control of political offices and Ukrainian military bases. Russia annexed Crimea after a referendum in March of that year. Second, in 2014, Russia fomented a separatist movement in eastern Ukraine with weapons, supplies, and “volunteers” before twice intervening with troops to shore up the separatist defenses that were on the verge of collapse. Third, starting in 2015, Russia deployed part of its air force to aid Bashar al-Assad in Syria and began a bombing campaign against both ISIS and Syrian opposition forces. The Russian government considers all these interventions successes. The annexation of Crimea and support of the separatists in the Donbas have both protected Russia’s greater military interest in the region and indefinitely delayed the possibility of Ukraine joining either the North Atlantic Treaty Organization (NATO) or the European Union. Russia’s strategic bombing has turned the tide of the Syrian Civil War and has allowed Assad’s forces to go on the offensive for the first time since the early stages of the conflict. After three successful or ongoing military interventions, in December 2014, the Kremlin updated its military doctrine and in December 2015, updated its national security strategy. The European Parliament reviewed the Russian military doctrine and its national security strategy and concluded that both documents “emphasize the importance of the role of military force in international relations.” Putin is obviously willing to use the modernized Russian military to restore Russian prestige and to reaffirm its status as a great power. Expect Putin to continue to use the Russian Armed Forces to exert Russian power and influence in the region, particularly to prevent further eastward encroachment of NATO. Moscow’s reliance on its military as a tool of foreign policy will grow as its economic power wanes. 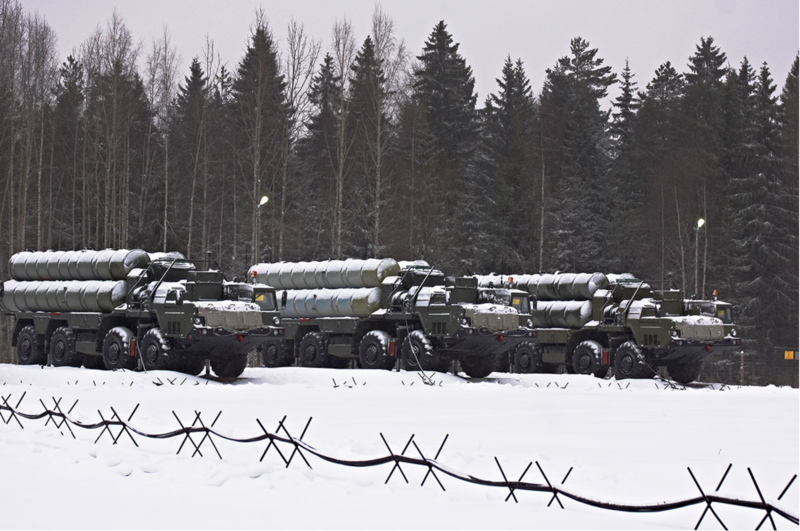 While Russia will continue to employ political and non-military solutions to international problems, its improved military capability will make force an attractive option, especially in regional disputes. To curb Russian revanchism, the United States needs to adopt two policies. First, the State Department should identify the non-NATO countries in Russia’s near abroad that have significant ethnic or linguistically Russian populations or have ongoing separatist movements within them. Once identified, the State Department needs to work with these countries to identify and counter Russian disinformation and propaganda. The State Department can work with each country to investigate media companies funding and shut down any company that has overt financial links to the Russian government. The State Department also needs to work with governments and verified independent media companies to how to quickly identify, address, and counter false stories before they become popular, such as the “Lisa case” in Germany. Last, simply raising the public’s awareness about Russian disinformation can make the public more resilient to its effects. Second, the Department of Defense (DoD) should work through the North Atlantic Treaty Organization (NATO) and commit to training these countries’ militaries in counterinsurgency and small unit tactics. The Partnership for Peace program within the NATO allows countries to determine their involvement with NATO through two year agreements called Individual Partnership and Cooperation Programme. All of the countries in Russia’s near-abroad are existing members of the Partnership for Peace. The DoD, working through NATO, needs to reach out to these countries and be more aggressive in offering training opportunities, rather than letting each country set its own agenda with NATO. 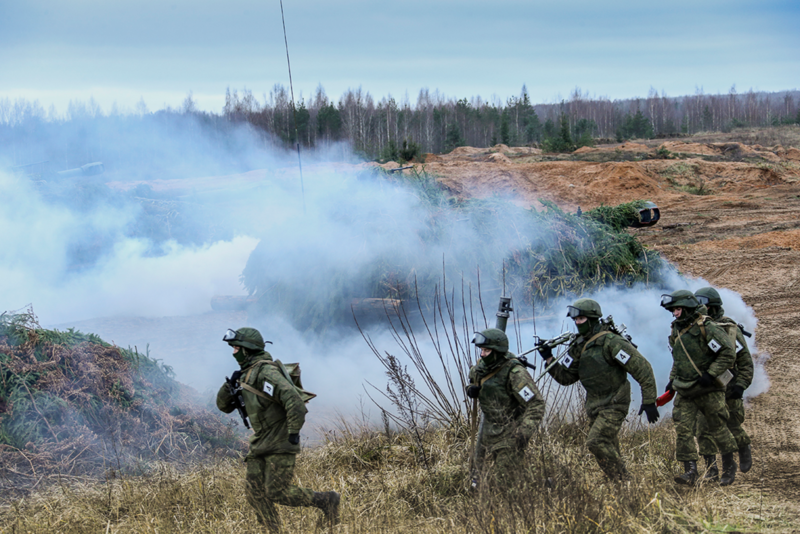 Outside a few far-fetched scenarios, a full scale Russian invasion seems unlikely, so counterinsurgency training will help prepare soldiers to fight against limited scale interventions like those in Crimea and the Donbas. Thus far, Vladimir Putin has made effective use of the new Russian military as opportunities to project Russian power presented themselves. Identifying and countering disinformation and propaganda will help prevent these opportunities from arising in the first place and the additional military training will make exploiting such opportunities more costly for Russia. Joe Kyle is a first-year graduate student in the Security Policy Studies program, focusing on transnational security issues in the Eastern Europe, Eurasia, and Russia region.